Thor (Hemsworth) reunites with his duplicitous brother Loki (Hiddleston) to battle Hela, Goddess of Death (Blanchett). Director Taika Waititi averts narrative pomposity in favour of charm, comedy and gargantuan spectacle, while Hemsworth sends himself up with skill and confidence. An askew, irreverent and wonderfully idiotic addition to the MCU. Thor vs The Hulk! Nuff said. 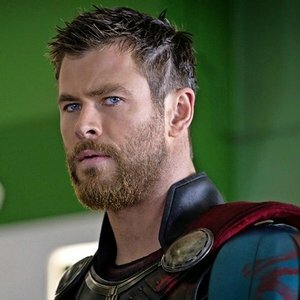 Imprisoned on a distant planet and stripped of his hammer, Thor finds himself in a gladiatorial context against The Hulk and he must fight to free himself, get back to Asgard to stop Ragnarok, the destruction of his homeworld and the end of his civilisation, at the hands of an all new powerful threat, the ruthless Hela (Cate Blanchett). With Idris Elba, Tessa Thompson, Benedict Cumberbatch and Tom Hiddleston as Loki. Cine Kids are family focused film screenings every weekend and during the school holidays. To hear when new Cine Kids films are announced please join our Cine Kids Facebook Group. All tickets are £3.50 for Cine Kids Club members (which includes the whole family and their guests). Membership is now FREE and available from QUAD Box Office to families with children under 16. Call 01332 290606 to join and become eligible for discounted tickets. Non members also welcome, who will be charged the standard cinema ticket price. Please remember to bring your Membership card to the screening as proof of membership will be checked at Box Office. Cate Blanchett to star in Thor: Ragnarok? Mark Ruffalo's Hulk for Thor: Ragnarok?